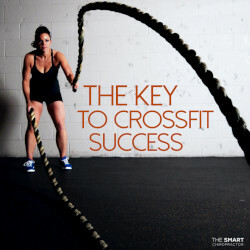 If you’re into Crossfit, you know how addictive it can become. The mix of high-intensity interval training and competition can help drive your motivation and commitment and lead you to achieve amazing changes to your body. Consistency becomes the key to your success to getting the results you’re after, but what do you do when you’re injured? Injuries often occur when your body doesn’t have the correct balance of strength and flexibility. Muscle tears, sprain and strains, and even painful arthritic changes can flare up for a number of reasons, such as attempting to lift too much weight or not having enough flexibility to support the weight through a full range of motion. How can you reduce your likelihood of injury? Researchers have discovered a combination of proper warm up/cool down, a full range of motion and progressive intensity training can help reduce injuries when strength training. Slowly increase the weight you lift and focus on quality reps vs. max weight. (1) Short-term effect of spinal manipulation on pain perception, spinal mobility, and full height recovery in male subjects with degenerative disk disease: a randomized controlled trial. Archives of Physical Medicine and Rehabilitation 2014. (2) Progressive resistance strength training and the related injuries in older adults: the susceptibility of the shoulder. Aging Clinical and Experimental Research 2014.